Is Cricket Protein Powder Really a Gut-Friendly Superfood? In today’s busy world, convenience is king. But maintaining a healthy lifestyle when we’re busy can be challenging. A well-balanced diet is often the first thing sacrificed in the name of convenience. Sometimes it seems our only option is to eat whatever is quick and hassle-free. Our bodies need full-spectrum nutrition, which is hard to find at the drive-through. Even meal-replacement bars and protein shakes branded as “healthy” often contain groupings of ingredients that fail to provide your body the nourishment it needs. Because these substitutes aren’t whole foods, they lack the variety of fats, carbohydrates, and proteins necessary to synergistically fuel the body. High-Protein “health” foods are often the worst offenders. These foods often contain processed isolates, concentrates, and other refined forms of extracted protein that are nutritionally incomplete. Fortunately, there is a complete, high-protein food that’s convenient and easy to consume. And it comes from perhaps the most unlikely of sources… crickets! Crickets are a complete source of protein that contains everything your body needs to stay healthy and vibrant. And once you realize the benefits and how they can be prepared, you’ll discover they’re not as “gross” as you may first think! In fact, eating crickets doesn’t have to be icky at all, since they can easily be turned into a fine powder that looks, smells, and tastes about the same as any other protein or food powder on the market. The biggest difference is that cricket powder (often referred to as cricket protein powder or cricket flour) is still a whole food – unlike many of its counterparts that are primarily highly-processed, food-like substances that are nutritionally incomplete. Even a hearty New York strip steak or freshly-grilled chicken breast, both of which are high in protein, pale in comparison to the full-spectrum nutrition found in whole crickets. After all, traditional meats are still technically just one part of the animal – two if you count the fat content. Conversely, whole crickets are roughly equivalent to an entire cow or chicken (meat, fat, bones, ligaments, and all.) Animal bones and ligaments, as you may already know, contain their own unique nutrient profiles that differ from those found in meat and fat. This is why traditional beef or chicken stock recipes call for steeping these otherwise non-edible animal parts in boiling water for many hours: to extract and infuse their nutrients into a drinkable “bone broth” for use in soups or as a standalone beverage. But none of this is necessary with crickets, which in powder form are like a steak, vegetables, and bone broth all rolled into one. Ounce for ounce, crickets contain twice the amount of protein as beef. And we’re talking the best kind of protein – containing all nine essential amino acids. Crickets also contain three times the amount of iron and five times the amount of magnesium as beef, plus many other vital nutrients including vitamin B12 and omega-3s. All these nutritional goodies, including the protein, digest quickly and completely without putting immense strain on the body. Many people have trouble digesting meat, for instance, because it can take many hours for the digestive system to fully break it all down. But this isn’t the case with cricket protein powder, which is quickly converted into amino acids, B vitamins, omega-3 fatty acids, and many other vital nutrients that the body can use quickly. To put things into perspective, a single cricket, were you to consume it whole, contains a whopping 60-70% pure protein. Beef, on the other hand, contains anywhere between 17-40% protein. And when converted into powder, the protein composition averages about 50% of its volume, the majority being basic amino acids which serve as fundamental building blocks for creating muscle tissue, hormones, neurotransmitters, metabolic pathways, and pretty much every other function of the human body . Because they exist in “primitive” form, amino acids absorb directly into the body almost immediately. They skip the digestive regimen that occurs for whole proteins to be broken down by digestive acids and enzymes for the body to use them. Many people who have trouble digesting meat and other high-protein foods prefer cricket protein powder as a gut-friendly alternative. One study that looked at eight different varieties of edible insects found that, in general, the protein digestibility of insects like crickets is exceptionally high. None of the insects evaluated had a protein digestibility score below 7%, and some were as high as 96% , further suggesting that crickets are a viable alternative to traditional meat-based foods. Another thing that sets crickets apart regarding their overall nutritional value is a nutrient called chitin, which serves as fuel for the body’s gut microbiome. If you’re at all familiar with probiotics and their role in maintaining healthy digestion, chitin is basically a “prebiotic” that helps to maintain healthy probiotic function. Just like how probiotics help to fuel digestive health, chitin helps to fuel probiotic health while optimizing the digestive process. By helping microbiota in the digestive tract to flourish, chitin inadvertently helps to protect against pathogenic invasion as well, meaning it plays a crucial role in thwarting chronic disease by providing dietary immune support. Since it’s also a dietary fiber, chitin further helps to promote maximum nutrient absorption. Besides shellfish and mushrooms, there aren’t any other natural sources of chitin that most people eat on a regular basis. This adds to the uniqueness of crickets, which seem to function as a type of gut-supporting “miracle food” by helping to counter the harmful impact of gut-damaging “anti-nutrients” and other poisons commonly found in processed foods. Keeping in mind that the gut and brain are profoundly interconnected, cricket consumption can also provide powerful support for the central nervous system. By helping to balance the living organisms that live inside the stomach and small intestine, the nutrient composition of crickets may provide support in the maintenance of healthy inflammation levels, while also helping to boost neurocognitive function . So why not give it a try? Believe it or not, it has a mild, slightly nutty flavor and smooth texture will make you forget where all that superfood nutrition comes from! Find out more about the little-known SUPERFOOD that’s taking the health industry by storm. Crickets are a complete source of protein that contain everything your body needs to stay healthy and vibrant. Crickets contain twice as much protein as beef, complete with all 9 essential amino acids. Cricket powder is quickly converted into amino acids, B vitamins, omega-3 fatty acids, and many other vital nutrients that the body can use quickly. 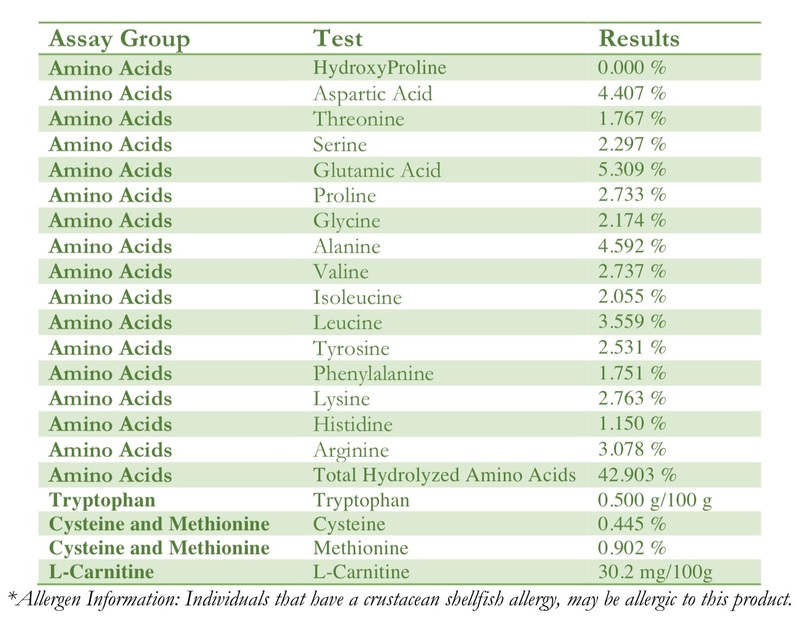 The protein digestibility of insects like crickets is exceptionally high. Cricket powder supports a healthy gut. Sorry to hear that, Lynne. I will forward your concern to the right department. I’m sorry…but, I cannot even bring myself to eat this “cricket food.” Just the thought of ingesting bugs makes me sick I don’t care how healthy it is. I have bought a lot of your other supplements but, this one I won’t even try. Why with all the other protein supplements out there would you start putting bugs ? in your products? No thank you…I’m a little put off that a company as reputable as yours would resort to this. UGH!!! Hi April! Crickets are an amazing source of nutrition and are regularly consumed around the world because they are a high-protein food that’s convenient and easy to consume. Many people who have trouble digesting meat and other high-protein foods prefer cricket protein powder as a gut-friendly alternative. While no one will force you to try them, we hope you’ll *hop* on the cricket train and give our Cricket Super Fuel a try! I’m amused by some of the negative responses regarding this product. I’m guessing these folks do not understand that they ARE eating insect parts in nearly every food they ingest! The govt. has a “body part” minimum allowable in our foods! Look it up! Not to mention that in a persons lifetime, they will swallow a minimum of 8 spiders in their sleep! ??. Insects are a part of life you cannot avoid no matter how hard you try. I’m sure this company isn’t going out into a random field, gathering grasshoppersto grind up! There are safe, santized “insect farms” that are bought from. Thank you for making safe, alternative foods without chemicals!! We appreciate you sharing your input on this, Joey. Thank you very much for the kind words! Once I find out what it is, I’m going to want to run out and grab some?!? You have got to be kidding!!! Hi Greg! We know you’ll love our Cricket Super Fuel in original or chocolate! It has a mild, slightly nutty flavor and smooth texture, enjoy it as a beverage or sprinkle it on your meal! As I age I need more of certain vitamins and minerals. Do I need to increase the amount I take as I get older? Hi Lou! We would suggest speaking with a medical professional before starting any new supplements or health regimes. As I age I need more of certain vitamins and nutrients. Do I need to increase the amount I take as I get older? Hi Lou! We recommend taking all supplements according to the listed directions, however, it is always a wise step to consult with your primary healthcare practitioner related to your own unique health needs and health challenges. I love it!!!! As a former military guy who’s travelled a lot, crickets are eaten in a lot of places around the world. Remember this, organic or not, vegan or meat eater, we have probably all eaten bugs of one sort or another whether you knew it or not. Bugs are in everything. Sure I’ll give it a try Organixx! We couldn’t agree more, TH! Thank you for giving this product a chance. Where do these crickets come from, how are they “farmed”, and how and where are they processed? That’s a really interesting question, Jewels. The crickets used are housed separately from birth to processing in order to ensure they remain organic. The crickets are fed a diet of organic vegetables in order to ensure that our Cricket Super Fuel remains organic and gluten free. Additionally, there are no additives or hormones added to the Cricket Super Fuel. If you have more questions regarding the product, feel free to visit our FAQ on this page: https://support.organixx.com/279591-Cricket-Super-Fuel . Good news. John the Baptist’s food: Mark chapter 1 verse 6. I will be looking for it in local health food shops. Thank you for leaving feedback, Marjorie. You may also visit Organixx shop to purchase Cricket Super Fuel! Ooohh my….. Well, I guess bugs will be part of our diets in the near future. Thanks and very interesting article. Ooohh my….. Well, I guess bugs will be part of our diets in the near future. Thanks and very interesting article. I will TRY to give it a try. Thanks, Rocio. Let us know how you liked it! I really curious about the country of origin and processing. I’ll eat almost anything if I know where it came from. I have some standards. Thank you in advance. I’ll give it a try if you can honestly answer the above questions. We understand, Joe. For starters, the crickets used are housed separately from birth to processing in order to ensure they remain organic. To know more about the Cricket Super Fuel, kindly visit our FAQ page here (https://support.organixx.com/279591-Cricket-Super-Fuel) to answer all the questions you may have. Hope you can give the product a try! How about some info on how the powder is used? Is it added to smoothies, baked either with or replacing regular flour, sprinkled on other foods etc.? That kind of info, summarised, might help you gain a better reception to your introductory input. Hi John, each serving of Cricket Super Fuel should be mixed with 8 to 12 fluid ounces of water or juice to allow it to dissolve. You may also sprinkle the powder on your food. Hope that helps! I agree with the first three comments. This just sounds utterly awful, even though many third world countries in the world eat this stuff. As someone else said, you have so many other great products, why would you try to sell something like this. Sorry, but you won’t get me to try this! No need to respond. Hello Susie, we understand how you’re feeling. We created this product with good intentions with the help of our professional team who has researched about the benefits of using crickets as a superfood. Some of our customers are interested in trying this product and we have received positive feedback so far. Organixx also made sure for it to be as palatable as possible, with an option for chocolate flavor. Of course, you are welcome to continue your patronage with our other products. I have been adding to my smoothies most mornings, taste like almonds! I really feel a difference when I miss a few days. I have greater energy when I consume daily. Thanks for sharing and thank you for being here! We’re so happy that you love the Cricket Super Fuel as much as we do! Being born and growing up in the United Kingdom during the 1939-1945 war food, especially fresh meat, was scarce however, I remember that locust was readily available. fortunately I was too young to connect it with the insect, it didn’t look anything like an insect so it must have had its legs, head and wings removed I just remember it was not my favorite food but it was quite palatable and I had no problem gobbling it down. it certainly was a great source of protein, vitamins and omega 3 fatty acids for growing children in a time of need. anyway, what’s wrong with eating an insect? apparently cockroaches are a delicacy in several countries! Hi Anthony! We agree. Thanks for sharing your story with us! We agree, Marie! Thanks for your comment! Although I won’t be going outside to catch a bug to eat it (and there are plenty here in Australia!!) I will most certainly be ordering this product to try. It will be going into my morning smoothie, along with all the other goodies I choose from time to time. It will be an interesting “project” for someone that is over that “60 yrs young” time of life. Yes – I will be a devil and try it and thank you so much for all your other amazing products. It’s so nice to have one company that I can trust. Just a shame that you are so far away and it takes soooo long for the products to arrive – we won’t mention the currency exchange rate!!!! LOL. That’s the spirit, Rosemary! We do value the support and trust you have for Organixx. We’ll be here if you have any questions regarding the product or shipping. Hi there, the crickets are fed a diet of organic vegetables in order to ensure that our Cricket Super Fuel remains organic and gluten free. The crickets used are housed separately from birth to processing in order to ensure they remain organic.